Learning how to motivate your staff professionally and with maturity and respect will help you to create a more productive, stable and effective team. Employee Motivation is vital in any work environment. Employees who feel they are recognized for the work they do are more motivated, responsible, and productive. The PD Training Employee Motivation Training Course provides skill development in the various methods of staff motivation such as the object-oriented theory, the expectancy theory, goal setting and using individualized motivators. This fun, high-energy training course is available in Kuala Lumpur and Malaysia. This Motivating Employees training course can be delivered at your premises by one of our expert local or international trainers or live online using our HIVE technology. There is therefore a challenge for all employers and management in delivering the right balance between a confident, motivated workforce and a workforce which is driven to attain goals. It can be described as a mix between the pleasure of a comfortable working environment and the fear of failure, although in honesty it is more complicated than that equation suggests. Regardless of how it is characterized, it is important to get the right balance in order to ensure that you have a motivated workforce. 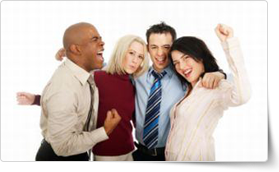 This Employee Motivation course is designed to show participants the way to get the best out of a confident, motivated set of employees, and to show them how to motivate that group.